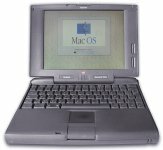 This was Apple's first laptop to feature a PowerPC processor. 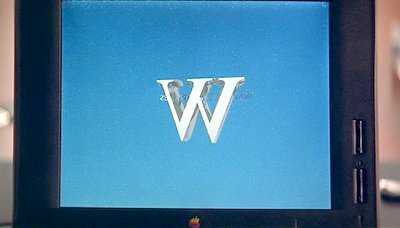 It was dogged with problems, not least with the battery and has often been considered amongst Apple's worst products of all time. 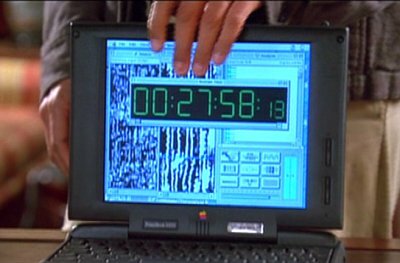 Simon uses his Powerbook for coded communications and online banking (to a number Swiss bank account, naturally). 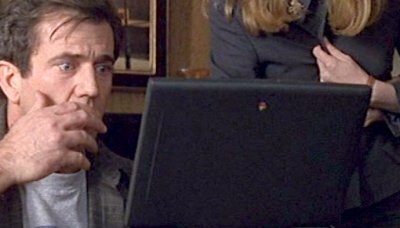 Tom and Kate learn of their son's predicament by reading an email on the Powerbook. 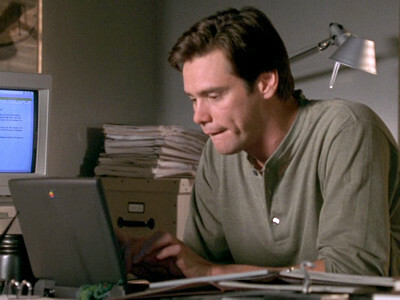 Jessie uses the Powerbook 5300c to create a sound similar to whale-song to attract Willy. 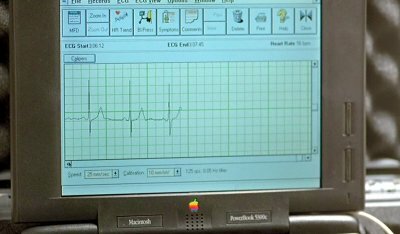 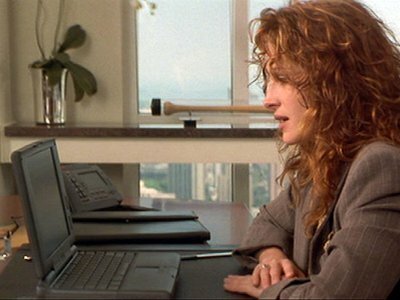 Later they discover Willy's mate is pregnant by measuring her heartbeat with the Apple. 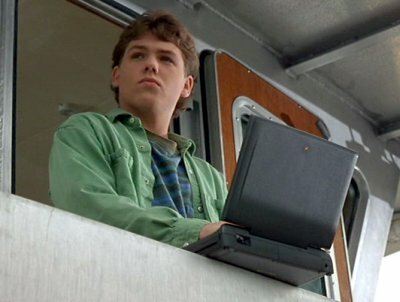 The crew of the whaling boat steal the Powerbook-created sound to lure Willy into range of their harpoons. 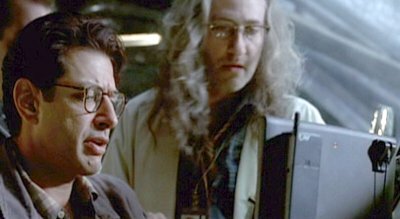 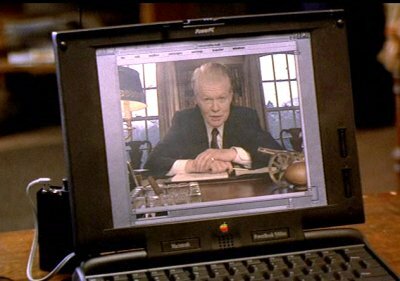 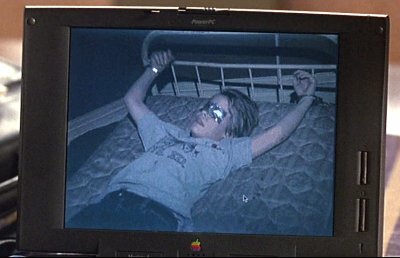 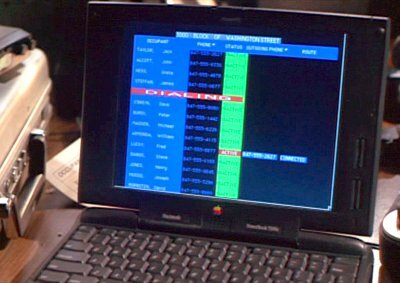 The criminals use a Powerbook 5300 to tap and intercept phone calls from Alex's house. 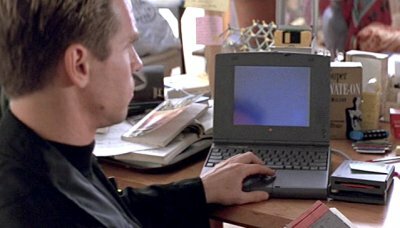 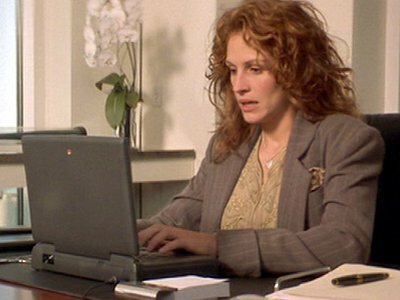 Hoping the get the wedding broken off, Julianne sends an incriminating email using the Powerbook of her friend's prospective father in law. 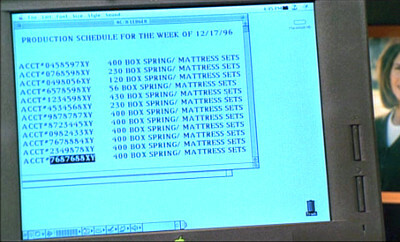 Howard uses a Powerbook to track the stock at his furniture store. 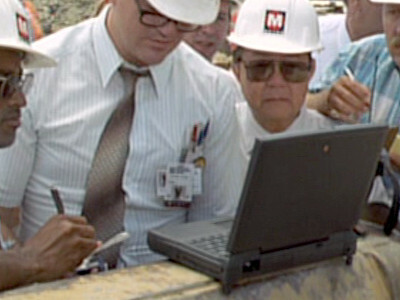 Workers for the LA metro receive a report about an earthquake on their Powerbook 5300, betting on how strong it was. 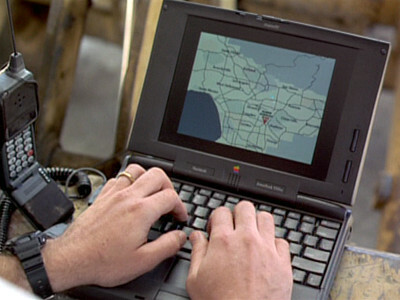 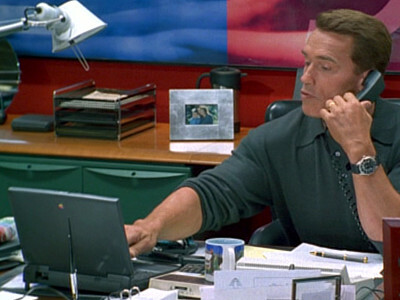 Instead of playing with Max on his birthday, Fletcher prepares for a case using his Powerbook.